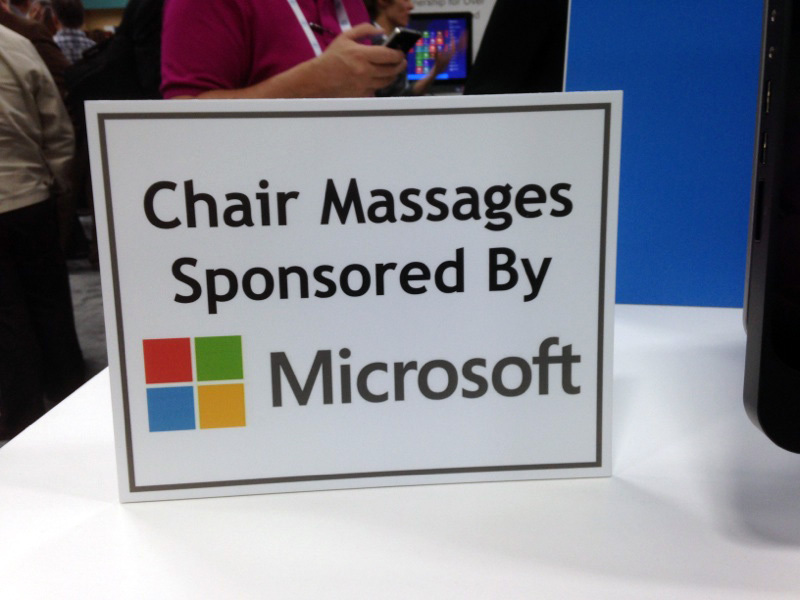 The Body Connection provides Show Managers and their tradeshow sponsors with a variety of creative and exciting massage and spa sponsorships. Turnkey setups with ability for custom branding touches provide sponsors with flexibility of themes and price points. From re-energizing and relaxing massage stations to urban chic “Martinis and Manicures”, the Body Connection offers a full menu of experiences that will entice your sponsors to sign on and sign checks.